So this time, I decided to make the hair clip and blog about it. The date I choose to post the Hair Clip of the Month is the 9th because my daughter was born on the 9th. Alright, by blog posting it, I should have the motivation to do it every month. Let's see how long this project lasts. The inspiration is from this picture I found in Pinterest. Very neat! Picture from Pinterest. 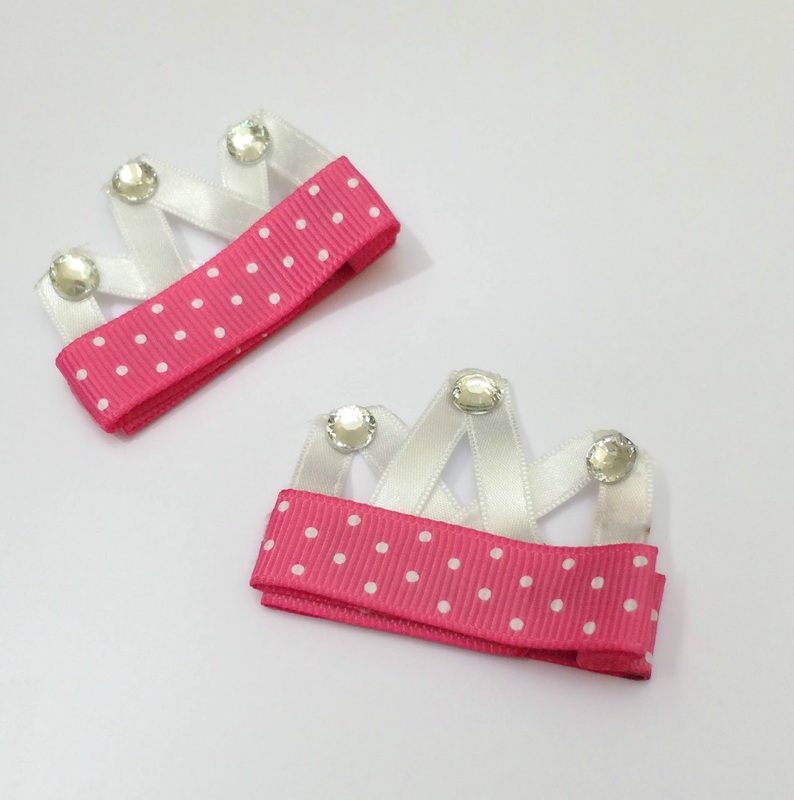 Original link is from Esty. 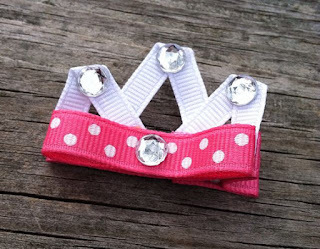 Pink Princess Crown Hair Clip. I just checked the seller's website today. She's still got one in stock. Hurry up!